Hello lovely people in blog world, it’s been a while! I hope you have all been enjoying the summer. Hasn’t the weather been lovely? I have to confess that part of me is hoping that it continues but another (rather larger part) is very much looking forward to the first hints of autumn. I love Autumn; the colours; the smells (stewed apple, stews, bonfires and fireworks); the nip in the air that promises a cosy feeling when you come in from the cold………I could go on. 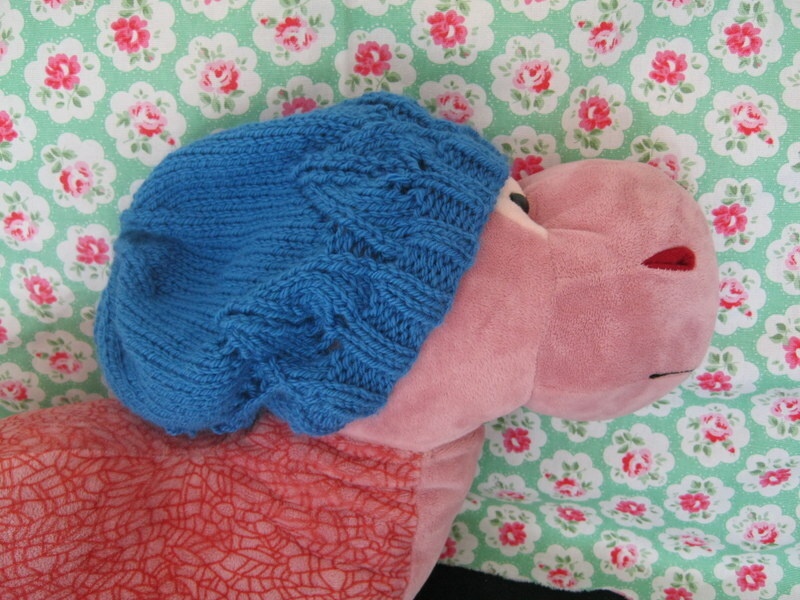 A few years ago, I found two patterns for hats that I absolutely loved. 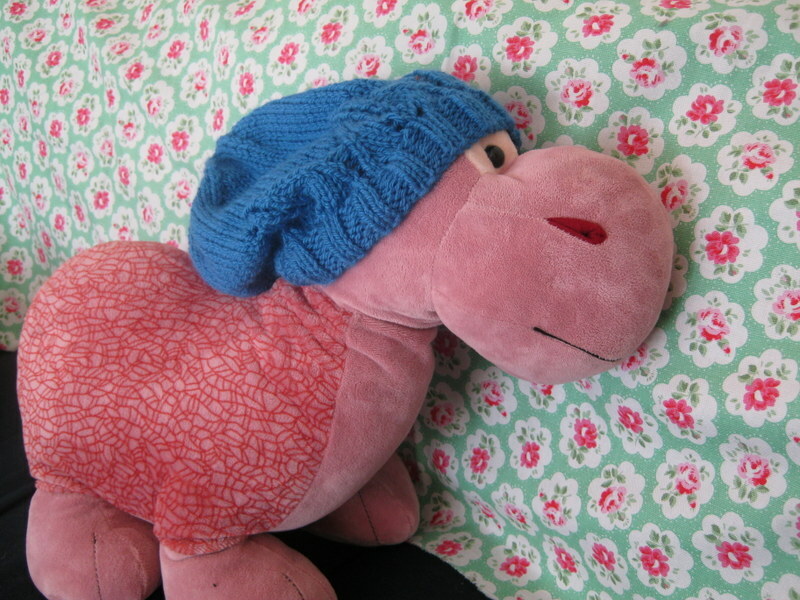 Over the years, I have made these hats for quite a few friends (my poor friends!). This year I looked at my hats and realised they were looking a little sad after wearing them almost everyday; whether snow; wind; rain or just a glorious winter frosty morning. So I decided to make some new hats (any excuse really, I’ve pretty much exhausted my friends and I love making them!). Here they are (modelled kindly by little man’s toys). This pattern is by Erica Jackofsky (I found it in ‘Yarn Forward’ magazine, issue 22 which I believe is now ‘Yarnwise’, although I could be wrong!). 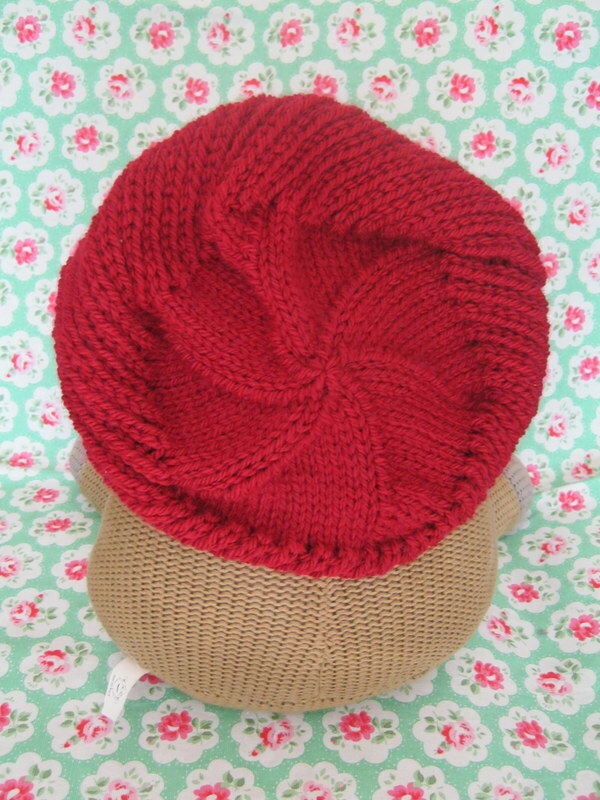 It’s a slouchy hat and really cosy in the winter. They have the difficulty rating as ‘Intermediate’ but as long as you follow the pattern carefully, it’s actually not as scary as it looks. I think what they mean is, it’s not the best hat if you are an absolute beginner as it does have a simple lace pattern. 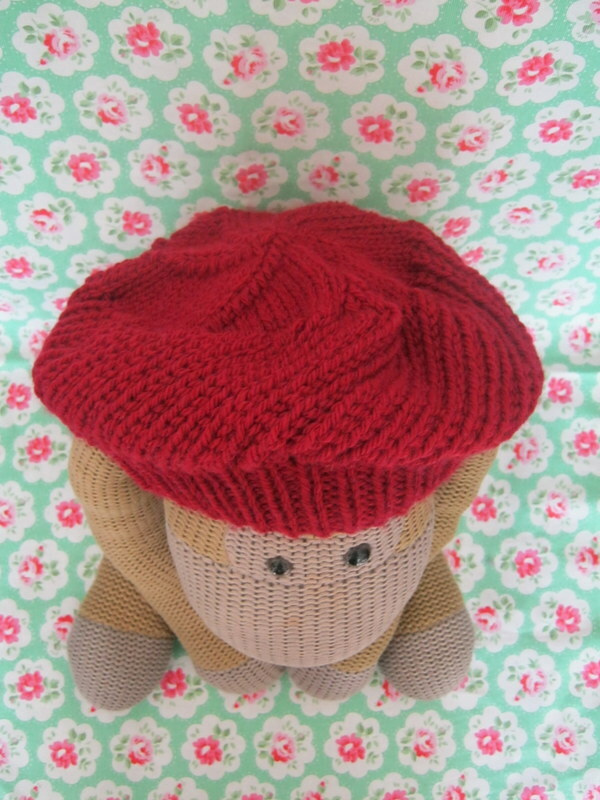 Hat number two is this lovely ‘Weekend Beret’ by Woolly Wormhead. Also in Yarn Forward issue 22 (it was a good issue). I chose red as I have a really pale skin tone and it looks really nice, especially around Christmas. This pattern is rated as a beginner pattern and although I wouldn’t advise it as the first thing you make after learning to knit, it is simple, fun and quick to make (I made this in a day). Final pic of the back. 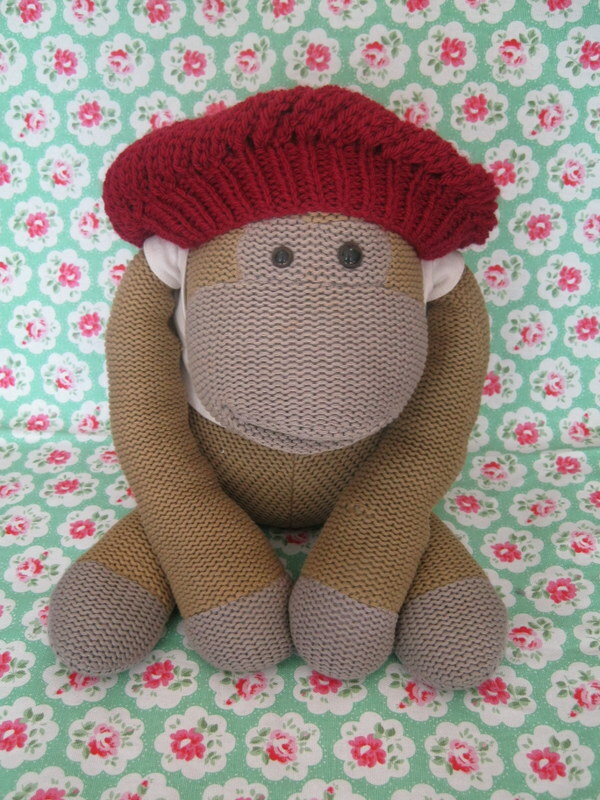 I know it’s hard to believe but it does actually look better on me than it does on the monkey!